Overhanging top keeps suet dry for healthier feeding. Perches allow "non-clinging" birds to feed, increasing activity. Fill with bread scraps to give birds a special treat. Catches rain water to keep ants out of hanging feeders. 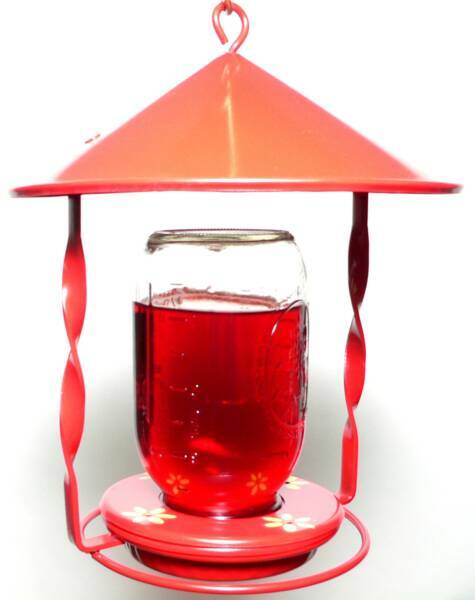 Use with Hummingbird feeders and seed feeders. Spun Aluminum will last a lifetime. Strong design stands straight through the storms. Three models available. 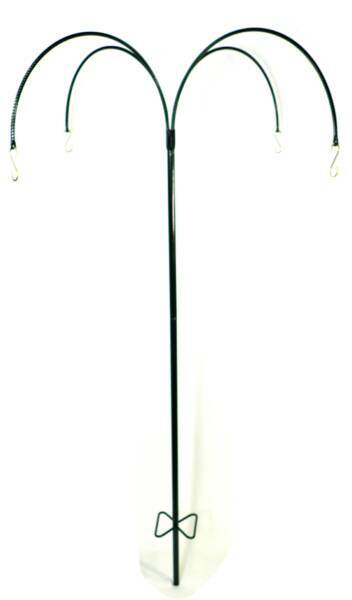 All hang poles use the same base with "butterfly" shaped foot that rest on the ground for stability. All poles have a hang-hole height of approximately 5'-7" to keep the feeder in easy reach for refilling, yet high enough for squirrel proofing. Please see MOUNTING POLE page for more information. 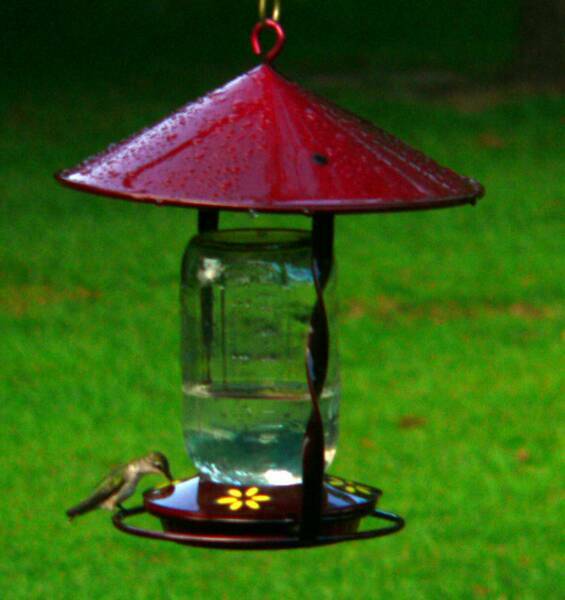 "These are the best feeders I've ever used. Thanks! ", John, Santee, SC. 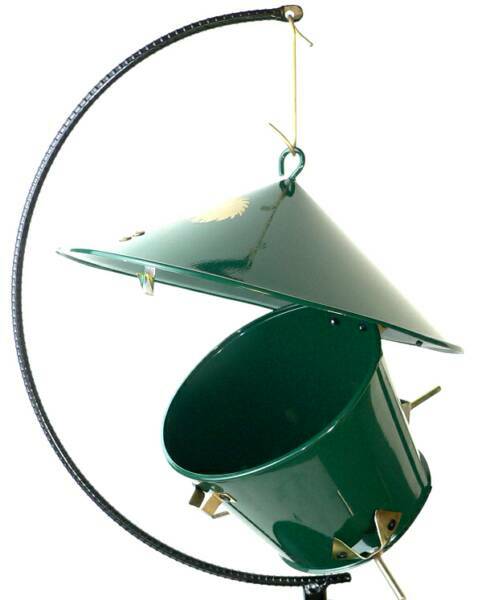 Our complete system includes feeder, large seed tray, squirrel baffle, and mounting pole. 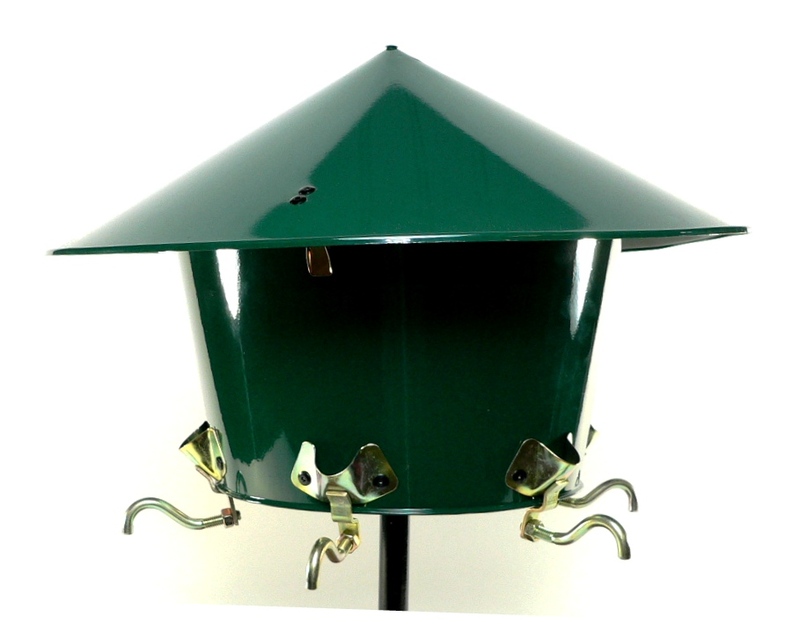 It is a self-contained squirrel proof feeding system with seed saving features to help you feed more birds with less money. 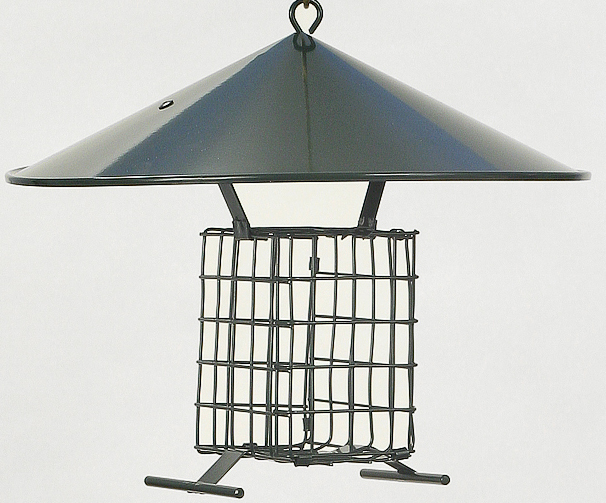 * Place 10 feet from overhanging limbs to squirrel proof. This system can hang from a tree or existing pole. The seed saving tray will flip if a squirrel tries to get on. 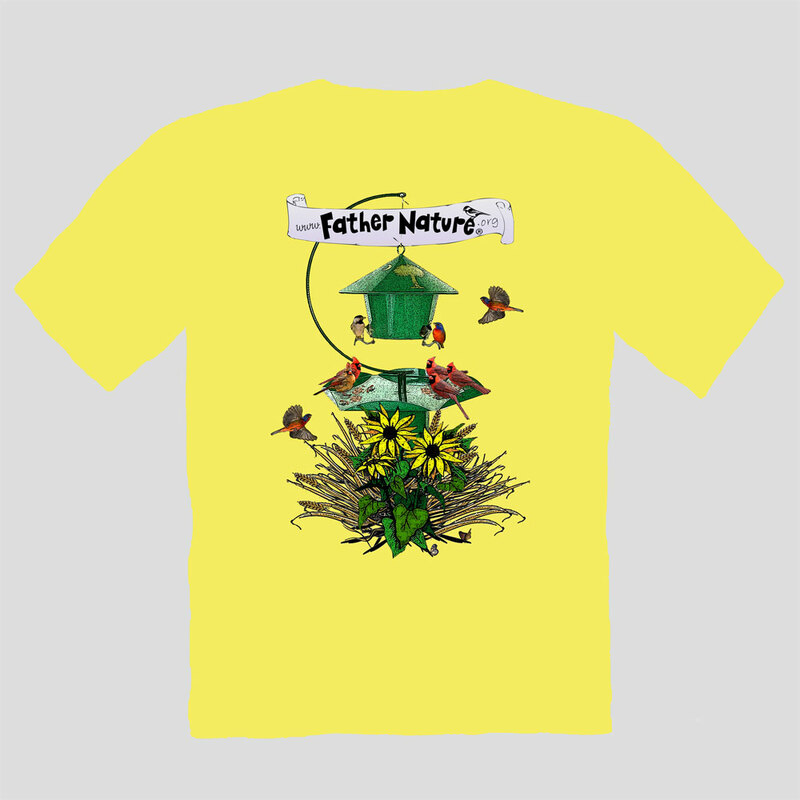 T- Shirts featuring beautiful birds, a bouquet of sunflowers and millet and of course a Father Nature feeder. Available in yellow, pink, and white. Notice: In order to offer you the best product possible, we reserve the right to continually refine and improve our designs. There may be instances where the product you receive, differs slightly in appearance from what is pictured here.